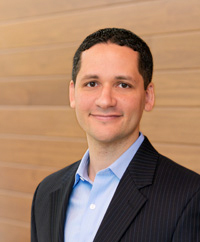 Marcello Santana is a senior manager in the Litigation Support practice area of Applied Marketing Science (AMS). Marcello has extensive experience managing quantitative and qualitative market research projects relating to litigation matters. Within AMS, Marcello works on Litigation Support projects involving trademark and trade dress confusion, trademark dilution, secondary meaning, deceptive advertising, patent infringement and class certification. He also coordinates all aspects of a research project, including survey design, fieldwork, data analysis and report creation. Prior to joining AMS, Marcello held several positions while pursuing his J.D./M.S. in law and mass communication at Boston University, including research assistant and student attorney. As a research assistant for the associate dean in Boston University’s College of Communications, Marcello collected and analyzed survey data related to student media consumption. As a student attorney, he counseled low income clients in immigration matters. In addition to the above positions that he held during the school year, Marcello was also an editor at Boston University School of Law’s Journal of Science and Technology. In the summer months, Marcello worked at NBC Universal and DC Comics as a legal intern where he provided support to in-house counsel in intellectual property transactions and pre-litigation matters. Upon graduating from law school and passing the bar, he worked at WilmerHale as a contract attorney. Prior to entering law school, Marcello held various marketing and sales positions in Fortune 500 companies within the consumer goods and oil and gas industries. Such companies include General Electric, Pepsi Bottling Group, and ExxonMobil. Originally from Brazil, Marcello has long been a resident of Massachusetts and local sports fan. In his spare time he enjoys attending fine arts performances (live concerts), solving puzzles (disassembling and reassembling his vintage Volkswagen), as well as taking summertime trips to Cape Cod with his wife Genny and son Lenny (a Yorkshire Terrier). Lastly, whenever the opportunity arises, Marcello provides pro-bono legal services to low income immigrant students in search of pursuing post-secondary education. Marcello holds a B.S. in business administration with a double major in marketing and management information systems from Northeastern University in Massachusetts, and a J.D./M.S. in law and mass communication with a concentration in applied communications research from Boston University. He is admitted to practice law in New York and Massachusetts.